We, the semiconductor department of Ceramicforum offer a wide range of products and services of next-generation Wide Band-Gap Semiconductors with the potential to surpass silicon semiconductors. Current development for Wideband-gap Semiconductors is advancing at a repaid pace, showing promise for installation in electrical equipment, and automobiles to be released after 2020. The Semiconductor Department of our company provides customers with the most diverse range of products and services to support their research and development of Wide-gap Semiconductors. Wide-Gap Semiconductors are large bad-gap semiconductors, with excellent physical properties such as wide forbidden band-width, breakdown field of the high insulation layer, high saturation speed of electrons, and high thermal conductivity etc. With these features, they are attracting attention as next-generation semiconductor for high-voltage devices, high-frequency high-output devices and so on, able to operate in areas that were previously inaccessible due to physical property limitations in Si(sillicon) and GaAs (gallium arsenide) which are currently used in mainstream semiconductors. Wide-Gap Semiconductors attracts great attention these days, it is expected to be applied to the new network infrastructure centered such as smart grid and new energy including electric cars, LEDs, solar cells, etc., which are regarded as powerful solutions to today's global and social keywords "energy conservation" and "CO2 emission reduction." In general, Wide-Gap Semiconductors have an aspect which is very difficult to obtain high-quality crystals contrary to their high potentials, so there are variety such as SiC , it has been mass-produced l, and to diamond which is under development. Products and services in our wide-bandgap semiconductor department. 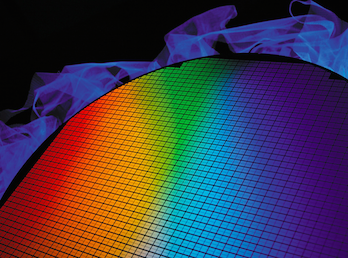 We Provide analyzing, simulation service for Wide-Gap Semiconductors. We provide world-class synthetic diamond by New Diamond Technology, Russia.